I am not a scientist. However, as a Christian I have an interest in science for several reasons. First, I am fascinated in the discoveries that science can tell us about our physical universe and ultimately about God the Creator of the physical universe. Second, science is a sort of universal language that can break through artificial barriers that separate humanity and unite people across cultures and generations. Third, science is a fantastic tool for evangelization. As I mentioned previously, science can be a bridge for Christians to have honest discussions with non-believers over the existence of God and the meaning of life. Pope John Paul II expressed the desire for dynamic integration by illustrating the physicists urge to unify the four forces into a grand unified theory. 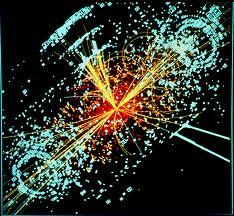 The theory of Relativity proposes a physical continuum and genetics envisions a biological continuum. Thus, the scientific disciplines are increasingly unifying the cosmos and life through their explanatory theories. The Aristotelian division of the terrestrial and the celestial was eliminated by Galileo paving the way for this cosmic integration. So the Pope urges the scientists to continue the search for unity not only among scientific disciplines but integrating all forms of knowing processes. In this aspect he exhorts the scientists and the theologians or science and religion to work toward a unity for the better of humanity. As Pratt correctly observed, often the warpath between faith and reason or religion and science is due to our misinterpretation. ‘The book of nature and the word of God emanate from the same infallible author, and therefore cannot be at variance. But man is a fallible interpreter, and by mistaking one or both of these divine records, he forces them too often into unnatural conflict.’ Pope John Paul II in the same vein, invited theologians to assimilate in their theological parlance the discoveries of science as the ancient Israelites integrated the cosmology of their neighboring cultures. A powerful clarion call is made by Pope John Paul II to both scientists and theologians in the following paragraph to interact and work together as a much needed ministry. I have had my first two weeks of my Big Bang course and so far it has exceeded expectations. The lecturer, Dr. Hitoshi Murayama, is fantastic. 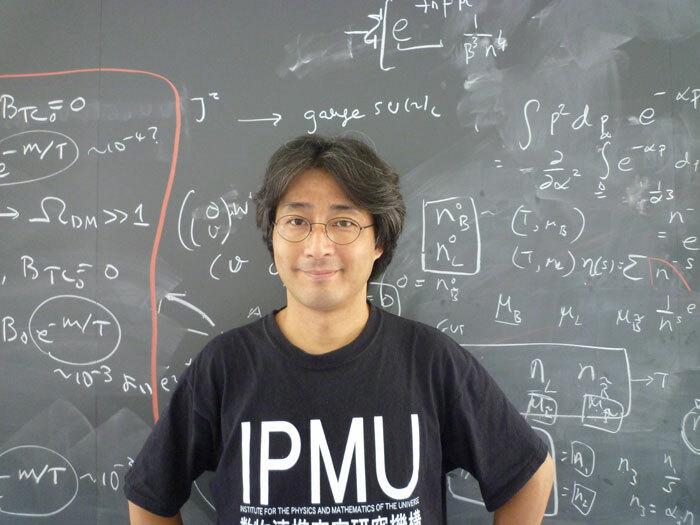 Dr. Murayama is Director of the prestigious Institute for the Physics and Mathematics of the Universe (IPMU) in Tokyo, as well as professor at University of California Berkley (I do not envy his commute :-). Dr. Murayama has a rare combination of being a very accomplished scientist who can explain difficult concepts in a way that non-scientists can understand. Plus, he has a great sense of humor. When I was researching for information on Dr. Murayama, I found this interesting article on his interaction with the Japanese royal family. This entry was posted in Reason and Faith and tagged Big Bang, Coursera, Divine Milieu, evolution, faith, God, Higgs boson, Hitoshi Murayama, Institute for the Physics and Mathematics of the Universe, quantum physics, reason, science, teilhard de chardin, Universe. Bookmark the permalink. I’m tempted to sign up to this course too! I keep dropping out of Coursera courses because my appetite for learning seems to exceed the time available, so waiting for your summaries seems the wisest route to knowledge, especially since they’ll be filtered through the lens of Teilhard’s thought. I can relate to the appetite for learning being bigger than my time! The Big Bang course is actually my first experience with Coursera and it has been fantastic. It is only four weeks and the material is great. I had some concerns about the Math (basic Calculus) but so far it has been OK. The lectures teach at a level that is understandable and the homework can be a bit challenging but it is interesting flexing Math muscles I have not used in 20+ years. Quantum Physics (not sure how far I will get as the math seems more daunting and it coincides with the History of Jerusalem one below). History of Jerusalem; the focus is on the period of Babylonian exile so I am excited to learn more about history and theology of that period as it was so critical to the development of Jewish identity and theology (and hence Christianity). Human Evolution. This starts in January and it looks very exciting. The professor, John Hawks of University of Wisconsin has a great blog that I have been following. Thanks for the tips – I’ve just signed up for the Fall and Rise of Jerusalem one too. Its part of what I teach myself, but always nice to get a different angle, new ideas etc. Also, it means I can do it when I’m at work …. My daughter is doing and loving ‘A Brief History of Humankind’. Jessie, I look forward to hearing your views on the Fall and Rise of Jerusalem course. It is an era I am not very familiar with so I am both looking forward to the course and hearing the perspectives of those more knowledgeable than me. http://www.metanexus.net/? It is a site/project developed by William Grassie who discusses similar topics (the theme of the site is “BIG History, BIG Problems, BIG Questions”). My younger daughter has done courses with Coursera and just loved them. I’m glad you do as well. Hi Geralyn, thank you for stopping by. Please let me know if you find any courses that are interesting!